Ion Cristoiu is a Romanian journalist, publisher, and political analyst. 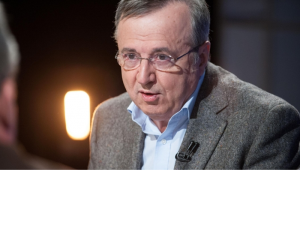 His name is one of the most respected in the Romanian mass media landscape, being often at the origin of huge movements of constructive criticism of the corrupted power (of which, unfortunately, Romania was not short of after 1989), irrespective to the political color. He was editor-in-chief of the daily Evenimentul Zilei during its heyday in the 1990s, when the average daily circulation topped 600,000, making it the most read newspaper in Romania, and one of the most read in Eastern Europe. He also founded or played a major role at a number of the weekly publications of that era: Expres, Expres Magazin, and Zig-Zag. All of these publications were highly critical of former president, Ion Iliescu. Ion Cristoiu was also the anchor for TV talkshow “Ultimul cuvant” (The Final Statement). With collaborations in many other important media outlets, and being a guest on important talkshows, he is now a prominent figure in public opinion in Romania. After the arrest of Gregorian Bivolaru, our independent press launched a campaign to present the MISA founder as an enemy of the People like in the days of triumphant Stalinism. I don’t know Gregorian Bivolaru. I do, however, remember the massive operation of the Romanian state in 2004, the year of the presidential elections, when the PSD government wanted to gain, through the assault on MISA, the electoral support of the conservative masses. The aberration that our press were an accomplice to the institutional forces today, no different in their “raised fist” mentality under the insignia of the institutional forces in 2004 was noticed; on 29 February 2016, we note on cristoiublog.ro under the title How come Gregorian Bivolaru does not have the right to defence?! “Gregorian Bivolaru is the target of violent, tendentious press campaigns, only based on the point of view of the authorities. The victim is not questioned about the charges brought, such as professional standards require. I write these lines amazed that in 2016, when Romania is a member of the EU, the lynching media atmosphere of 2004 is repeated without pause, exactly how the institutions of force in the Adrian Năstase regime pounced on MISA, not only with their belittling attitude, but with that of the press also. There is no need to also remind you that the leader of the media lynching of Gregorian Bivolaru was Dan Voiculescu’s TV station, Antena 3. Meanwhile the Binomial SRI-DNA met their maker. The habit of not giving someone the right to defence – a right which even the greatest criminals have, remains. As a result of my article, I was contacted by those close to Gregorian Bivolaru who provided me with the view of the MISA founder and documents considered by the accused as supporting his point of view. Reading them, I realised that they should be published, not only as regards to the right to defence, but also, that the documents were of public interest. How did Gregorian Bivolaru leave Sweden, the country in which he received political asylum? To recap. Arriving in Sweden, Gregorian Bivolaru applied for political asylum on 24 March 2005. The Romanian authorities issued a European arrest warrant in his name through Europol on 21 June 2004. On 21 June, he is wanted by the Romanian National Bureau through Europol. On 5 April 2005, based on this warrant, the Swedish Police arrest him and detain him in Malmo with a view to extradition. In April 2005, the Romanian authorities make an extradition request to Sweden. On 21 October 2005, Gregorian Bivolaru is freed from prison after 7 months of detention. On 21 October 2005, the Swedish Supreme Court decide to reject the extradition request of the Romanian authorities. The reason? There is a risk that Gregorian Bivolaru will be persecuted in Romania because of his religious beliefs. On 2 January 2006, the Swedish authorities allow the request from Gregorian Bivolaru for political asylum, conforming to the Geneva Convention of 1951. According to a document it show that Gregorian Bivolaru has refugee status under the Geneva Convention 1951. 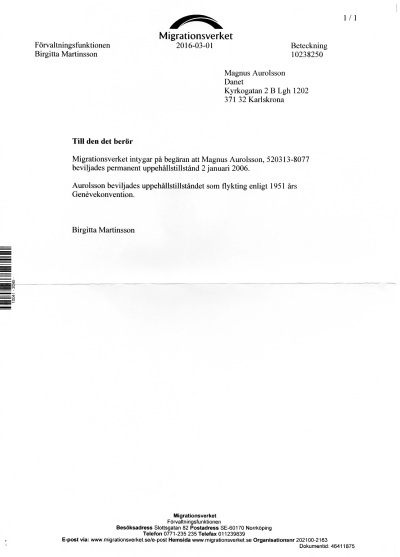 The Migration office confirms that as requested, Magnus Aurolsson, with personal number 520313-8077, is granted the permanent right of residence as of 2 January 2006. Magnus Aurolsson is granted the permanent right of residence according to the Geneva Convention 1951. On 10 February 2007, Gregorian Bivolaru received travel documents. 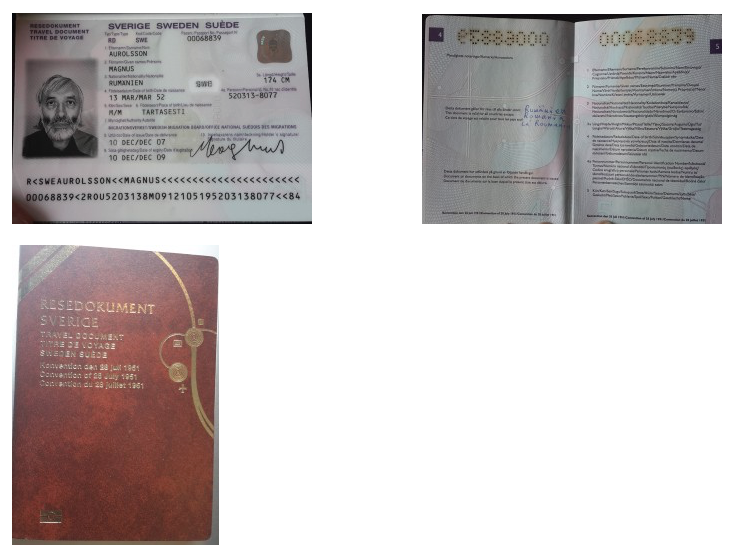 The passport of Gregorian Bivolaru, exclusively presented (no question of the fantasy of it being a Bulgarian passport), clearly shows that he can travel freely in any country except for Romania. According to Article 33 of the Geneva Convention (see Note No.1), the right to freely travel without risk of extradition is given by the Geneva Convention of 1951. Why did Gregorian Bivolaru leave Sweden for France, where he had travelled to many times? It was based on the Geneva Convention. The answer is given to us in Viviane Reding’s statement on 15 October 2013 at a meeting with citizens of Stockholm, at the time she was Vice President of the European Commission on the issue of Bivolaru’s asylum (see Note No.2). The European arrest warrant is under the power of Decision No. 2002/584 of JAI on 13 June 2002, issued, as shown by Viviane Reding, following the terrorist attacks of 11 September 2001. At that time the possibility that the warrant could come into conflict with rights of political asylees to travel in any country of the European Union based on the passport of the one protected by political asylum had not been considered. Viviane Reding knows about this situation. Discussions in the European Parliament show that there is no agreement between political asylum of a person based on the Geneva Convention of 1951 and the European arrest warrant. We don’t know what the judge in Paris will decide. However, we know for sure that the situation of Gregorian Bivolaru needs to urgently find a solution. 1. No Contracting State shall expel or return (’refouler’) a refugee in any manner whatsoever to the frontiers of territories where his life or freedom would be threatened on account of his race, religion, nationality, membership of a particular social group or political opinion. Now, last week there was a resolution here actually to look into the member states that are, de facto, not respecting the Copenhagen criteria, not living up to the Copenhagen criteria. And this is very important. We meet again and again this problem with Human Rights being blatantly violated within the member states especially some of the new member states. What is happening today is that EU is actually working against that. There is a refugee, yogi from Romania, who has been persecuted since the Ceausescu times. He has asylum in Sweden it was given in 2007. Romania has 3 times asked him extradited and Sweden defends him, by the Geneva Convention. Now, as being a member of EU, Romania has posed the European Arrest Warrant which ties the hands of Sweden and the man is standing without defence. Because of EU policy! And this must stop. And EU will have its legitimacy when they work for actually protecting the Human Rights against the State’s abuses that are still happening. It is, actually, the question about the system. I am the first European Justice Commissioner with power to do things. The first thing I started to do was to create procedural rights for people when they are taken by Police or when they are brought in front of the Court that they have basics rights all over the place. Because these rights did not exist. Why these rights did not exist? because the European Union could not make proposals before. And before, and think about the time, it was just after 9/11. And everything was about terrorism and criminality. And the Ministers of the Interior created the European Arrest Warrant without any procedural rights attached to it. I have attached the procedural rights to the arrest warrant and put the arrest warrant back on the table and gave out directions to the member state how they should use it. For instance, many member states try to use it for petty crime, I always called it "the pickelet", the way of using the arrest warrant. They asked the extradition for somebody who had stolen something small. That is not the reason of justification. We need to have rules which go to the heart of the matter, which combine security on one hand, with rights. Both have to be in equilibrium both sides of the same medal, the one without the other should not be allowed anymore. And that is the evolution we have had in the last years, to bring the rights to questions of security. And what do you do, then, to stop countries from using the system? Because in the system already is included for what reasons a country cannot extradite. So this is very much codified and very much included. And the Courts also have to decide.By the way, when you are speaking about Romania, just to tell you that Romania had tried to eliminate its Constitutional Court and there again I have put the fist on the table and the Constitutional Court of Romania has survived. We have continuously, and the Minister said it very well, we have continuously attacks on what we consider as basic rights of a democracy. But to have a democracy is not a thing you can learn in some years. Sometimes you need a tradition to be established in order to learn about democracy, so we need to help some of the countries which have come out of dictatorships to democracy from one day to another, to interiorize also the rules of respect which need to be in a democracy. One of the basic rules is the full independence of the courts and the other basic rules and that goes for politics is the full respect of the opposition."